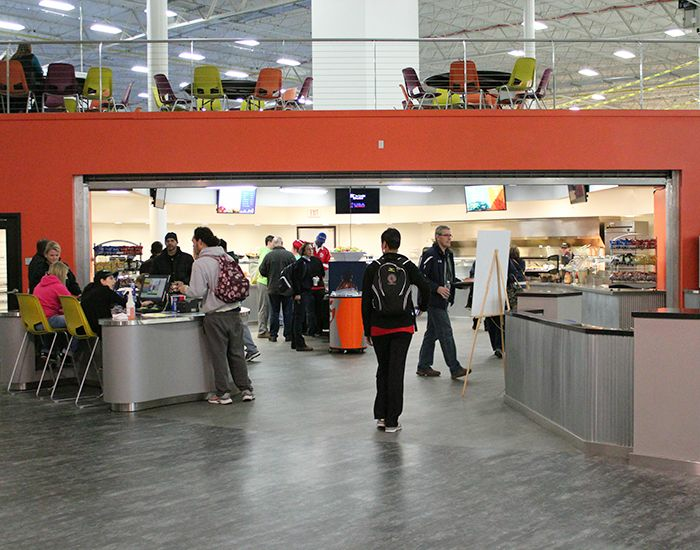 Spooky Nook Sports prides itself on excellent in-house banquet facilities. 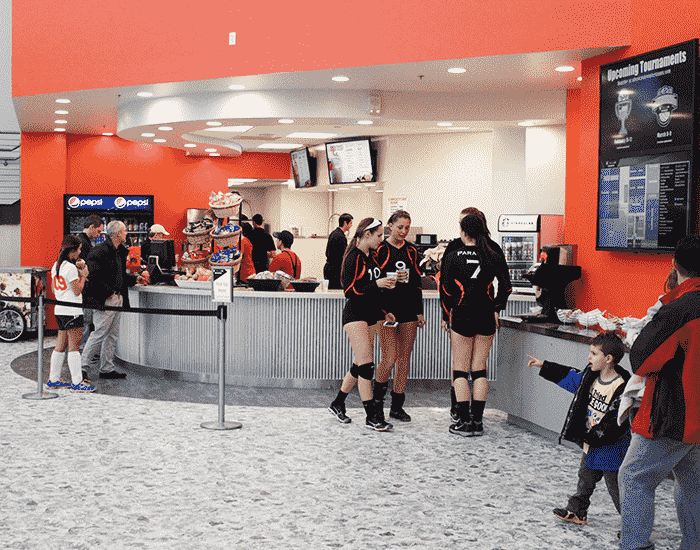 Athletes can refuel at our American style food court and refreshing smoothie bar. We offer healthy food and beverage options with athletes in mind. Click to learn more about our Outside Food and Beverage Policies. The fun doesn’t have to end when the games stop. 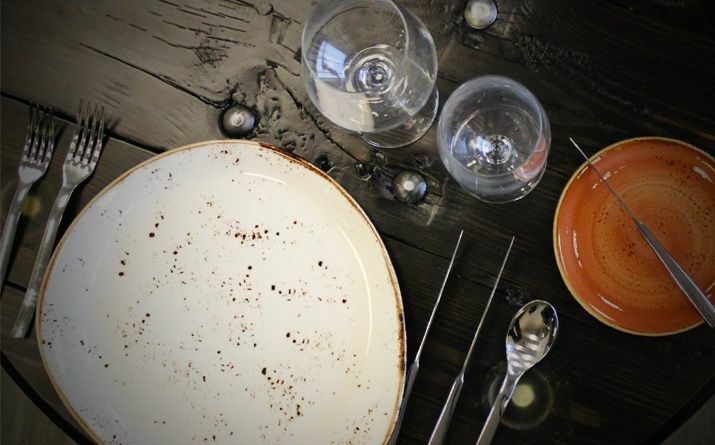 Extend your adventure at The Nook with a visit to our own Forklift & Palate Restaurant. Located right next door to all the action at The Nook, the Forklift & Palate offers a dining adventure unlike any other. Featuring unique upcycled industrial architecture and a fresh take on classic American cuisine, the Forklift & Palate has something to delight everyone in the family. It’s the perfect end for your one-of-a-kind adventure here at The Nook. 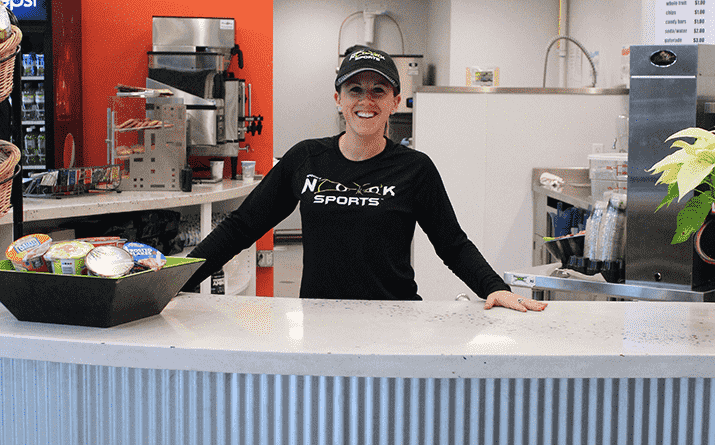 At the Nook, fast food doesn’t mean unhealthy choices. Our chefs have used their backgrounds in fine dining and catering to create an American-style food court with healthy, high-energy choices for every meal. Choose from hot and cold sandwiches, pizza, salads, burgers, a burrito bar, and much more. Our chefs are happy to accommodate food allergies and other dietary restrictions by preparing gluten-free, nut-free, and low-sugar versions of our menu items. Our smoothie bar offers 100% fruit, no-sugar-added fruit smoothies that are as good for you as they are good-tasting. We also serve protein bars, popcorn, fresh fruits, veggies and other snacks for fast refueling. In addition, you’ll find a selection of ice cream bars and sweets for those times when you’ve earned a little indulgence or need an energy boost.